Hard cider doesn’t have to be made from apples. Try making a pear cider (perry) this summer! Tips for beginners looking to make small batches of wine. 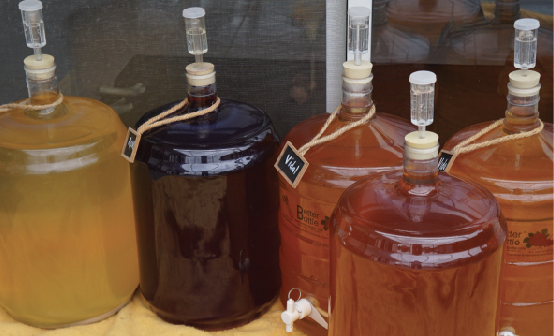 Tips for brewing your firs batch of mead. An introduction into volatile acidity (VA) and how to avoid it. How do you know when it’s time to pull the trigger on harvest? Here’s an introductory look for your first harvest. What’s that in my Kit? An introduction to what you’ll find in your first wine kit. An introduction to cleaning and sanitation for beginners. An introduction to preventing oxidation of your wine. An introduction into bottling your first batch of wine. When and how to use pectic enzymes. You are already proud of the wine you made, but when it comes time to share or gift your wine, you want to be proud of the packaging too. Use these tips from label design pros to get you started.